Three Critical Reasons to Visit Your Ocala Dentist NOW! There are many patients that go years without visiting their dentist. It could be due to fear, financial hardships, or because simply they don’t feel like dental appointments are necessary to maintaining great overall health. 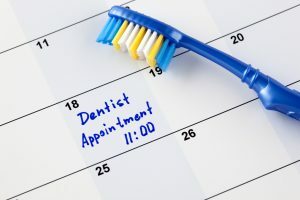 Whatever the reason, visiting your dentist in Ocala is much overdue. If it’s been years since you’ve sat in a dental chair, you’ll probably be able to relate to at least one of these oral health issues. Hopefully, Weldon General & Cosmetic Dentistry will be able to give you the nudge you need to visit our office and receive the dental care your smile deserves. 1. It’s been more than 6 months since your last professional cleaning. 2. You’ve lost a permanent tooth since your last dental appointment. Having a spacey smile can already bring your confidence down, but did you know it can also make your health plummet? If for some reason you’ve lost a tooth either from decay or a dental emergency (like it being knocked out), it’s important to fill that hole in your smile. If you don’t seek the proper dental care, your mouth becomes susceptible to diseases, infections, and further tooth loss from the dangerous bacteria and debris that is entering beneath your gum line and into your bloodstream. Your cosmetic dentist can help you replace your teeth with either of these options. 3. You have a toothache or sensitivity. Tooth pain and sensitivitiy is your body’s way of communicating with you that something is wrong. When your teeth start to ache, that means that there’s most likely tooth decay present. Your teeth can become sensitive to hot or cold substances when there are cavities present and begin to ache excruciatingly when there’s an infection present. If you’re experiencing any level of tooth pain, sensitivity, or soreness, you need to visit Weldon General & Cosmetic Dentistry as soon as possible. If you don’t receive one of these services from us, you could be risking your life! The best and most inexpensive way to take care of your teeth is by visiting your dentist regularly. Most dental insurances cover regular semi-annual dental appointments. Why not take advantage of them and stay on top of your healthcare? By visiting your dentist every six months, we can not only keep an eye out for severe dental problems but also address them when they’re present. Contact us today to schedule an appointment today! Comments Off on Three Critical Reasons to Visit Your Ocala Dentist NOW!